I’ll be giving a presentation today (Wednesday October 3rd) at 8pm Eastern as part of the Agile Worlds 2012 Online Conference. My topic will be “Integrated Reality and Next Generation Virtual Worlds.” Here’s detailed info on my session. Please feel free to visit my Agile Worlds Jibe space at 8pm if you’d like to attend. Hope to see you there! UPDATE 10/4/12: Here’s a video recording of the event. And here are my online slides. UPDATE 10/4/12: Just read a review of a new game that’s a perfect example of balancing Familiar with Fascinating (a key theme in my presentation). 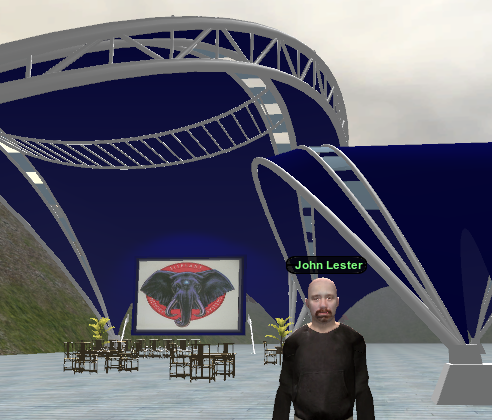 This entry was posted in Announcements, Jibe, Presentations, Unity3D, Virtual Worlds and tagged agile, agileworlds, agileworlds12, Jibe, online communities, ReactionGrid, Unity, Unity3d, virtual worlds by John "Pathfinder" Lester. Bookmark the permalink.